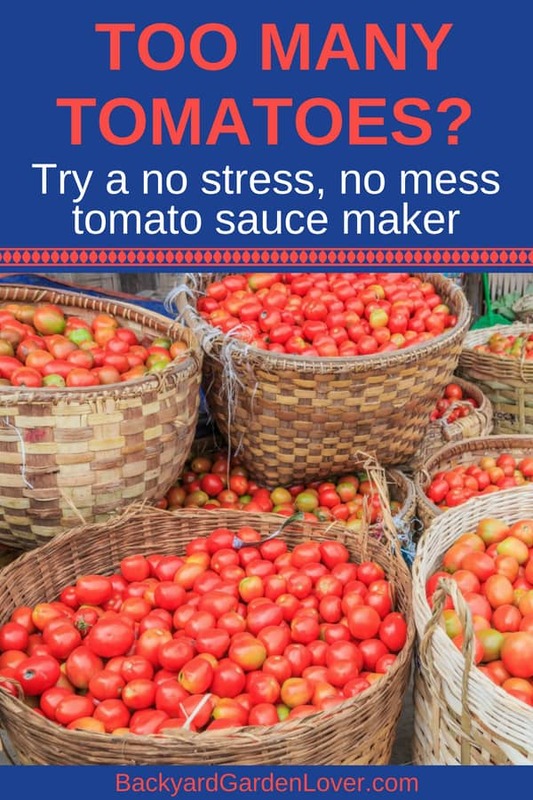 Best No Stress, No Mess, Tomato Sauce Maker Machine! Not only can these sauce machines turn hours of work into mere minutes, it’s also less stress and work for you as well! We’ve all heard the phrase “work smarter, not harder”, right? Put those words into action with one of these tomato sauce maker machines. Why Buy A Tomato Sauce Maker Machine? The answer is simple…these machines do the work for you. 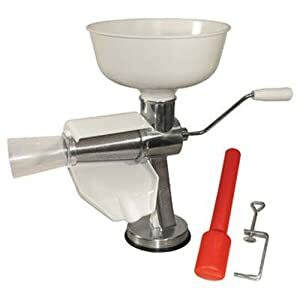 From start to finish, they crush, press, and puree those tomatoes to turn them into whatever consistency that you need. You can then use that tomato sauce in canning or freezing, whichever method you prefer. I’ll let you in on another little secret…These little tomato sauce machines are able to do the same type of processing to other vegetables and fruits as well! Buying one machine for dual purposes is an amazing feeling. In my opinion, there are three main tomato sauce maker machines that are worth researching more and purchasing! In a hurry? This one is my top pick! Raw Rutes – No. 3 Electric Tomato Strainer Mill Machine – Made in Italy – Perfect for Canning Tomato Purees, Sauces and More! .3HP Motor If you’re looking for a stainer mill machine that is heavy duty and certain to please, look no further than Raw Rutes. 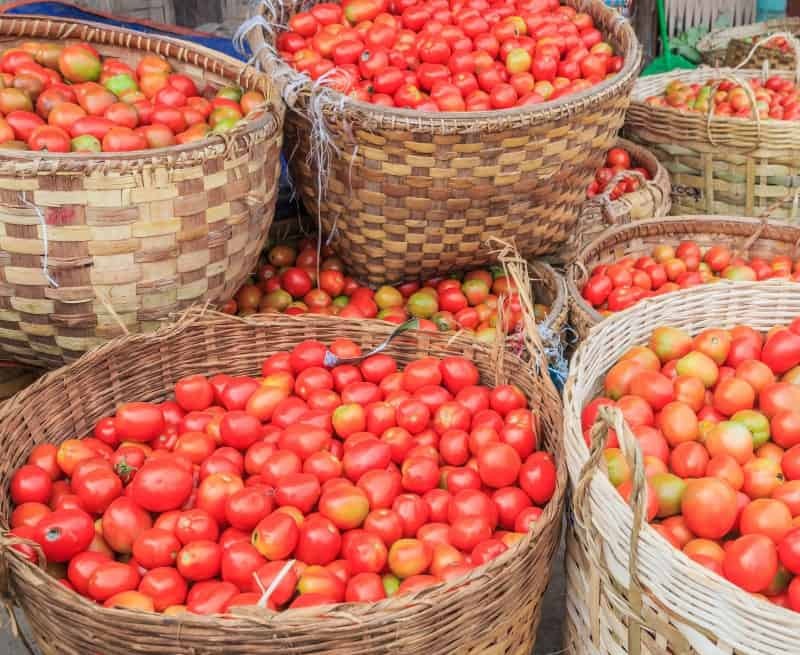 With options for a variety of sizes and motor power that can process up to 700 pounds of tomatoes per hour, this machine can take over and make your job pretty simple! Great for when you have too many tomatoes ripening at one time. Top praises for this machine were how quick and efficient it is and how easy it was to use to make homemade tomato juice as well! Ball FreshTech 1440035018 Harvest Pro Sauce Maker, Gray The speed and durability of this sauce maker are amazing. In less than 20 minutes, you can process up to 15 quarts of tomatoes with ease. One of my favorite features? It’s dishwasher safe as well! Don’t just take my word for it, customers all over the world agree as well that this sauce maker is top notch! From cutting the processing and canning time in half, to the ease of clean up, you need to test this one out for yourself. 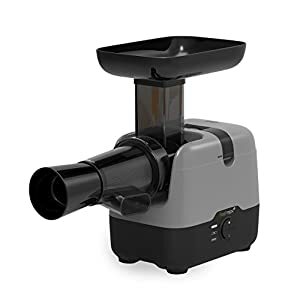 Weston Food Strainer and Sauce Maker for Tomato, Fresh Fruits and Vegetables (07-0801) There’s no doubt that Weston products are at the top of the food appliance game. This food strainer and sauce maker can process all types of foods, and easily removes the skins and seeds as well! With over 700 reviews on Amazon giving this sauce maker an almost perfect score, customers can’t seem to get enough of the variety that this provides to the canning and preserving needs. What I like about this model is that you can you can buy an accessory kit that will turn almost any soft fruit or vegetable into purees, sauces, or salsas. I love that! 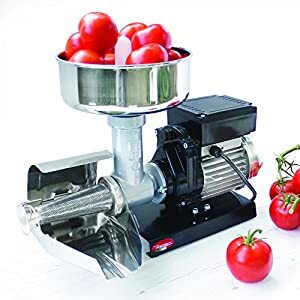 If you are looking for a quick and efficient way to get help processing all those fresh tomatoes from your garden, use a tomato sauce maker machine. One of these 3 are perfect for the job! You’ll love the speed, durability, and reliability that each one provides. Want to see a tomato sauce machine in action? Take a peek at the video below.